Cream butter and sugar. Add eggs 1 at a time, beating after each addition. Stir in extracts then fold in shredded coconut. In a separate bowl, stir together all dry ingredients. Add to butter mixture; stir in milk. Pour about two tablespoons of the batter in a lined cupcake baking pan. Bake 18-24 minutes. 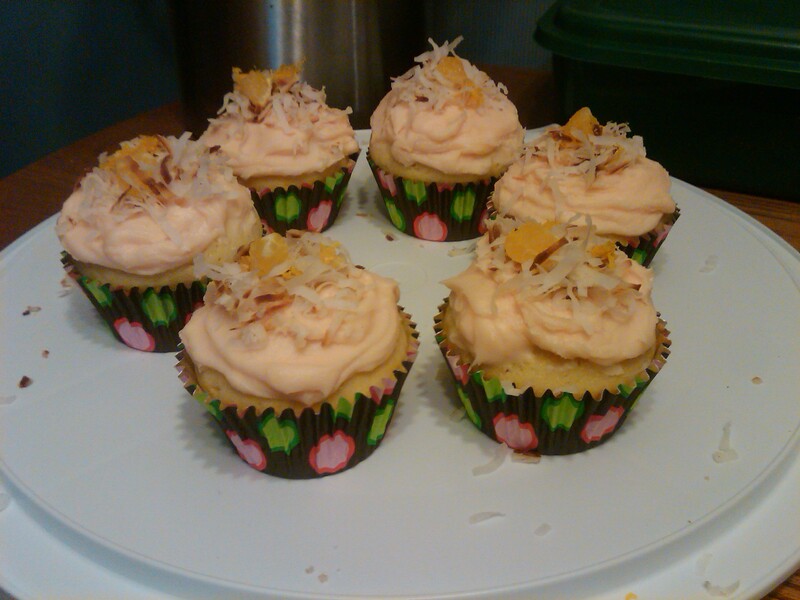 Allow to completely cool before frosting. Combine butter and sugar. Then add extracts and milk. Mix until creamy. Add food coloring and combine thoroughly. Toast coconut over low heat until slightly browned- do not burn. Let cool. 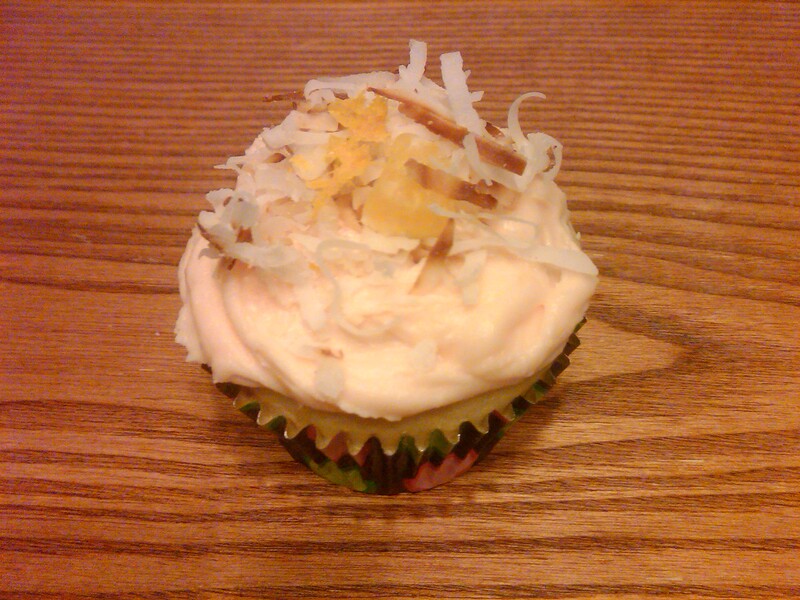 Frost cupcakes and top each one with toasted coconut, a pinch of zest and an orange segment (size of a jelly bean).